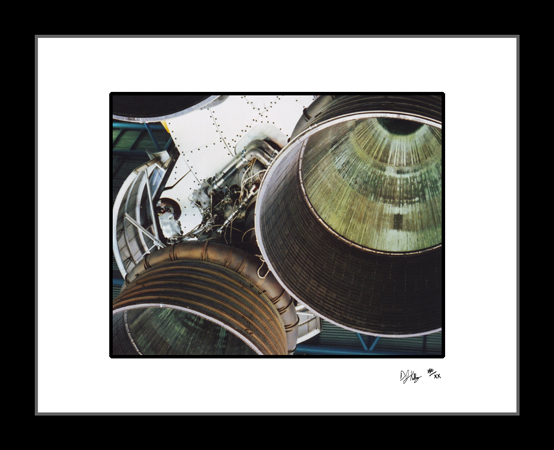 The geometry, texture, and color of the Rocket Boosters at Kennedy Space Center in Cape Canaveral, Florida produce a bold abstract art piece. This photograph was taken from below the rocket looking into the booster area of the space ship. The vibrant colors and contrasting geometric shapes makes the photograph almost jump out of the frame.